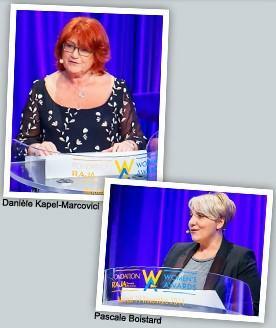 On 19 November 2014, the RAJA Foundation Women’s Awards rewarded five charities for their exceptional work helping women in France and around the world. €80,000 was raised during an evening dedicated to women’s causes! More than 400 people, including many Raja Group employees came to the awards ceremony which was held in Paris “Maison de la Mutualité”. “Femmes SDF” – A charity caring for homeless women in Grenoble, France. “Asie Tana Inter Aide” – A charity based in the slums of Manilla in the Philippines that helps marginalised women in these areas. SIAD – A charity helping vulnerable women workers in the onion fields of Burkina Faso. “Etablissements Bollec” – An Art gallery and workshop based in Rennes, France which helped women in prison to create and publish a women’s magazine. “Actions de Solidarité Internationale” – A charity based in the Republic of Congo helping young female prostitutes towards social reintegration. More than 400 participants attended the Awards, including many political leaders and celebrities. Danièle Kapel-Marcovici, President of the Raja Foundation and CEO of RAJA Group emphasised the fact that the Awards are here to put the spotlight on all the violence women are subjected to, and that it was everyone’s duty to help put a stop to it. Pascale Boistard, Secretary of State for Women’s Rights who actively supports the Foundation also praised the Awards’ hard work and it’s engagement with women during her speech. Celebrities were also involved in the Awards including the French singer Agnès Bihl, who performed live during the ceremony. The RAJA Foundation was founded in 2006, under the umbrella of ‘Fondation de France’, a government body established by the French government in an effort to stimulate and foster the growth of private philanthropy. 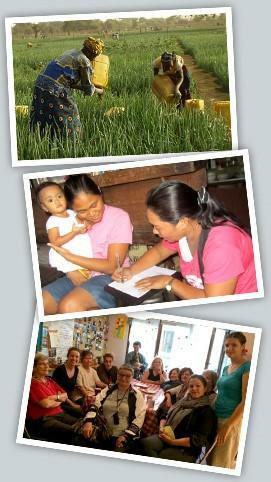 Today, as then, it the supports charity programmes for women in France and around the world. This entry was posted in Charity Work on December 19, 2014 by Rajapack. Aside from beating Red Bull’s sky dive, Google has also been busy with another innovative competition. Rajapack investigates the technological giant’s new drone system. Back in January, we asked robotics & technological experts whether they thought that automatic drones were the future of packaging delivery. At this point in time, Amazon’s automatic parcel drone, the Amazon Prime Air, was the main talking point. It has since been revealed that Google had already staked a claim in the drone delivery space, working in secret for two years on their own delivery system, Project Wing. Conceptually, Project Wing seems similar to Amazon’s propeller drone, but on closer inspection it’s the vision behind each concept which sets them apart. Amazon is geared towards customer delivery and has been consistently dedicated to this purpose. Astro Teller, head of Google X, the division of the company that works on the search giant’s most ambitious projects, told the BBC that it could have major implications for humanitarian emergencies “even just a few of these [drones] being able to shuttle nearly continuously could service a very large number of people in an emergency situation.” Such a statement suggests that Google isn’t just considering a commercial product. Much of Project Wing’s testing has been carried out in Australia, where laws around the use of drones are much more relaxed. The vehicle’s performance seems promising. It has already made many successful deliveries to local people, with shipments such as radios, candy bars and dog treats. With user experience always in mind, Google has focussed on the physical recovery of packages to make the process as smooth as any conventional human delivery service. The risk of customers being harmed by drones has been reduced by using a string delivery mechanism. Packages can be lowered on a line, much like that of a fishing rod, directly to the customer. Meanwhile, the drone hovers above at a safe distance. Safety in the design of these drones will be instrumental in not only granting them access to US airspace, but also in reducing the need for human involvement and control. Drone-based delivery systems are unlikely to be completely devoid of human control however, as Google plans to continue using human interaction to improve automated software. Such interaction is well-advised, especially in instances of physical errors such as misplaced or trapped packages. When will it be in action? It will be a few years before such a drone is ready for commercial use. Both Google and Amazon still face a lengthy challenge of negotiating strict regulations around drone flights, which are concerned with safety and privacy. How long these conversations will last is uncertain. Before these drones are established in large numbers we will have to be patient in waiting for any friction or resistance against them to be significantly reduced. You can read about any future developments here on the Rajapack blog. 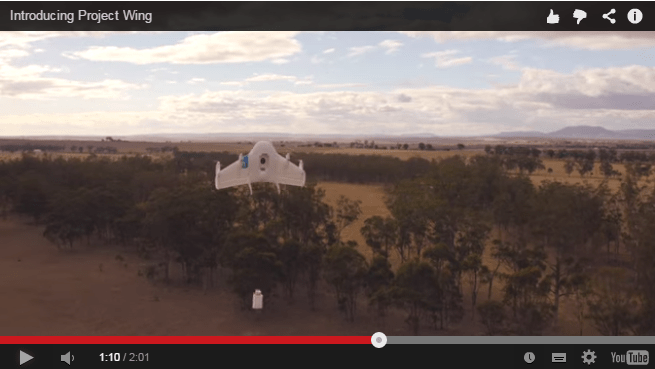 This entry was posted in Packaging Industry News and tagged delivery, drone, google on December 4, 2014 by Rajapack.